In 1824 and 1825 young Chopin visited Józef Wysocki in the manor house of Dulsk. The village of Dolsko was mentioned for the first time in a document dating back to 1349, which related to marking of the border between the property of Władysław Garbacz (a cousin of Kazimierz the Great), the prince of Dobrzyń and the property of Mateusz of Gołańcza, a bishop of the Kujawy. 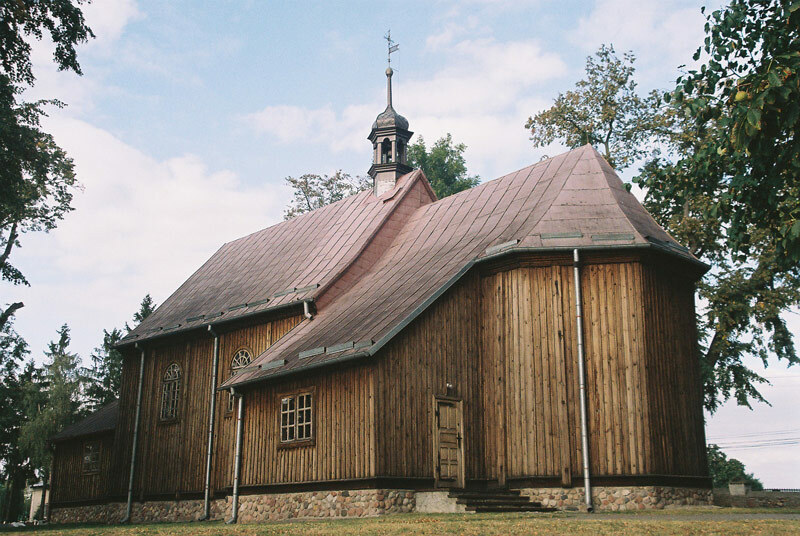 In 1737 the bishop Aleksander Działyński, the successor to the village of Dulsk and suffragan of the Kujawy, erected a new wooden Baroque style church with framework structure and three altars. The building was covered with clapboards and walls were reinforced with braces from the inside. The church was rebuilt in 1878 and underwent another great renovation in the years 1995-1998, as a result of which the church-porch was lengthened and the wall and floor were renovated. In 2002 the badly damaged wooden tower over the presbytery dating back to 1878 was replaced.